1217 Chason Dr, Vestavia Hills, AL.| MLS# 828197 | Richard Jacks UABLIVING.com 205-910-2297 | Birmingham AL Real Estate | Contact us to request more information about our Homes for Sale in the Birmingham AL area. 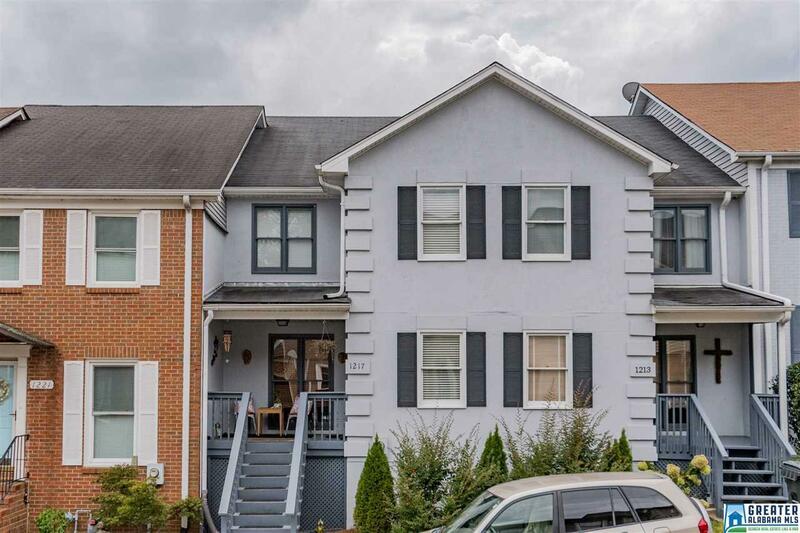 Located in the heart of Vestavia near schools, shopping, theatre and restaurants, this beautiful townhouse is convenient, affordable, and move-in ready. Main level features hardwood floors, spacious living/dining room with gas fireplace, french doors that lead to oversized covered patio, powder room, and updated kitchen with granite and stainless appliances. Upstairs you&apos;ll find the master bedroom with updated bath, second bedroom (currently used as den) with full ensuite bath. Basement level includes finished bonus room and large one car garage with storage. Driving Directions: Driving South On Hwy 31, Turn Left On Tyson Dr. (By Honey Baked Ham), Take The First Right On Tremont And Then Left On Chason Dr. 1217 Will Be On Your Right.